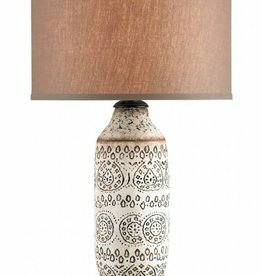 The precursor of the Paolo Table Lamp could have been unearthed from ancient caves were it not for the glow its washed white finish lends its terracotta body. 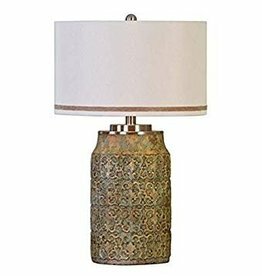 The textural crosshatchings, stippling and rings bring its jug-like shape a rustic appeal that would be welcomed in interiors as diverse as a city loft to a lakeside retreat. 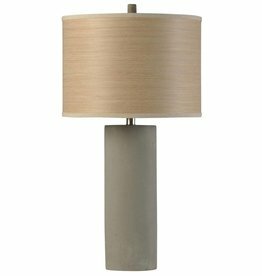 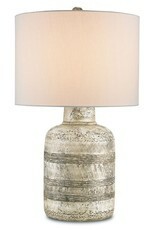 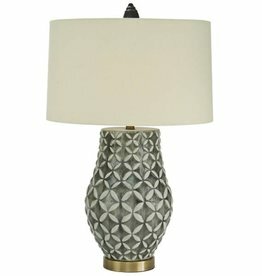 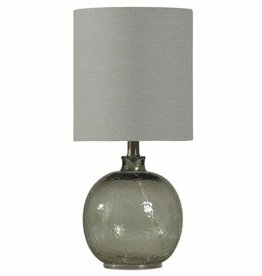 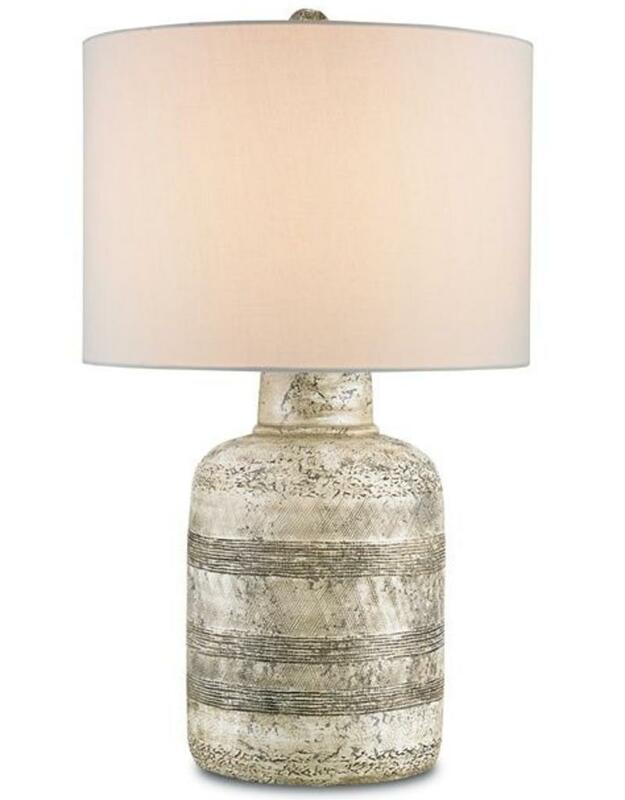 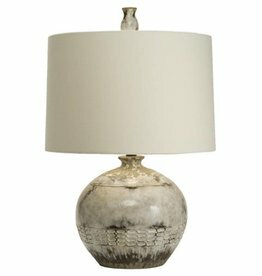 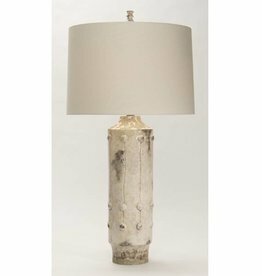 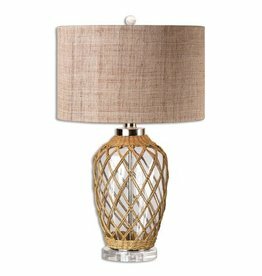 An off-white linen shade tops this 29-inch tall lamp to send light flowing over the glaze that gives it its shimmering personality.